CAUTE (pronounced cow-tay) was Benedict de Spinoza's motto. 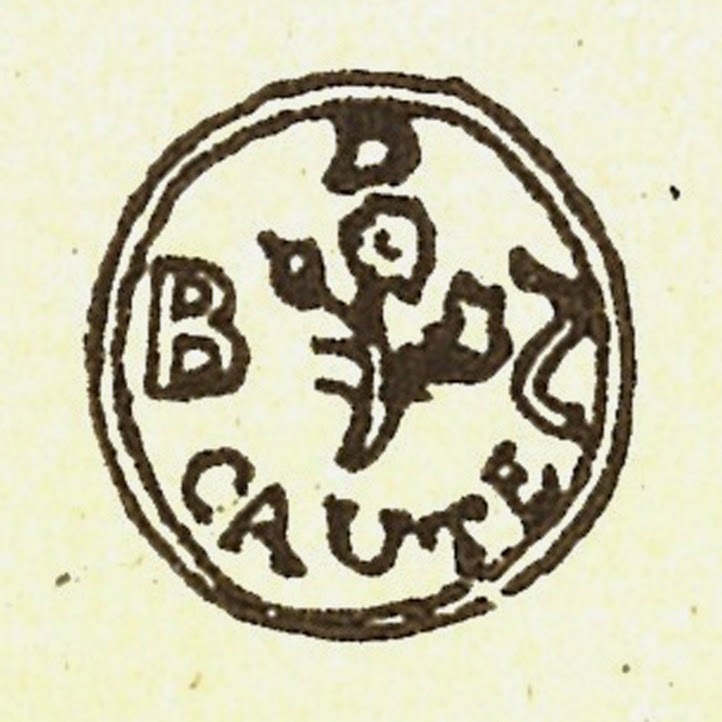 It is the Latin word for "be cautious" (or "careful") and was attached by him to the symbol of the rose (see photo to the right). I'll come to the rose in a moment but firstly we need to be aware that this call to caution has a couple of interpretations. The first is a simple and straightforward call to be careful, i.e. to do your work carefully and not to be over-eager to rush ahead carelessly or foolishly into publishing what are really only half-baked thoughts. The second is a call to be especially cautious if you are in the business exploring ideas that are likely to challenge prevailing orthodoxies (both the orthodoxies of those inside and outside one's own community). Spinoza knew this only too well in his own life. Bitter experience taught him that if one speaks too soon, too carelessly, in too ill-prepared and/or unguarded a way, there is always a real chance that someone will come down upon you very, very hard. Even in a more liberal age and culture such as our own those of us who have to prepare a weekly address/sermon know only too well the extreme ire and irritation that even our best and most cautiously prepared words can cause. So it's best to have been careful and cautious before daring to speak the truth as you see it, even though one is always trying to speak this truth in love. So to the image of the rose. It's a symbol which speaks of the beautiful and the sensuous. But roses, remember, have thorns - with them you must always be careful. To enjoy their beauty to the full you need to take care how your approach, touch, tend and pluck them. All ideas, not just those which you feel are beautiful but also those which you feel are good and true, need to be handled with the greatest of care and caution. I adopted the word "Caute" as the name for my blog for two reasons. The first is that Spinoza remains one of liberal religion's greatest exemplars and I heartily recommend to you Steven Nadler's excellent biography of him. The second reason is that many years ago I inherited from my Uncle Ed (from Norwich) a small seal with a rose on it (see picture here). Why he had it and quite why I ended up with it is lost in time but what I can say is that it helped seal (pun intended) my personal relationship with the symbol of the rose which, in turn, meant that when I stumbled upon Spinoza's use of it along with the word "Caute" it resonated very powerfully with me. Coincidentally, whilst I was living and working in London in the 1980's trying to make my way as a young musician, I managed to get myself a job as one of the picture researchers for Dorling Kindersley's Royal Horticultural Society's Encyclopedia of Garden Plants. One of the sections for which I sourced the pictures was that on roses. I very much enjoyed that gig. Now I can't say that this blog (and my life) fully lives up to the ideal gestured to by the word "Caute" and the symbol of the rose but a genuine intention to try to live up to it is most certainly present. I came across your blog one early morning myself as the sun rose over the Lady of Good Voyage in Gloucester. I wanted to alert you to the Gloucester Writers Center. gloucesterwriters.org. We present writers and do public education. We reside in the former studio of Vincent Ferrini. On 10/19 we are presenting Amiri Baraka he will be speaking on Olson and generally on the effect Olson's on him as poet & specifically from an essay called "Charles Olson & Sun Ra:A Note on Being Out "
Thanks for dropping by my blog earlier today. I'm glad to be able to promote your film (Polis is This) in the very small way I have. I think it's an excellent way into Olson's work which I'm constantly trying to encourage folk here to read. I was also pleased to hear some of Stefan Wolpe's music making its appearance on the soundtrack. Anyway, this is just a friendly reply to say thanks for stopping by and commenting. Alas, I'm in the UK so cannot pop by the "Writers Center" but I assure you, if I could I would. Warmest wishes and good luck for the future.